The government is set to extend the term of Urjit Patel, the banker behind monetary policy changes that have helped reduce the high inflation, signaling confidence in Governor Raghuram Rajan's team. The government is set to extend the term of the central banker behind monetary policy changes that have helped reduce the country's chronically high inflation, signaling confidence in Governor Raghuram Rajan's team at the Reserve Bank of India (RBI). Urjit Patel - the architect of a switch to formally target inflation, among other changes - is likely to stay on as a deputy governor when his three-year term ends next week, government and policymaker sources said. An announcement is expected within days. Patel, one of the RBI's four deputy governors, has run the monetary policy department since 2013. He is viewed by officials within the bank as Rajan's closest lieutenant. They share an expatriate background - Patel has a doctorate in economics from Yale University - and both worked at the International Monetary Fund, albeit at different times. Patel's reappointment will raise market hopes that Rajan, will also be offered an extension when his tenure ends in September. Rajan, an academic and former chief economist at the IMF, has been one of the most influential governors in the RBI's 81-year old history, building a significant profile abroad as a voice for emerging markets. He was appointed by previous, Congress-led, government, but has established a good working relationship with Prime Minister Narendra Modi's administration, despite occasional disagreements over policy and the shape of some reforms. The inflation rate, which was in double digits when Rajan took the helm, has been virtually halved, though, like elsewhere, India has benefited from slumping global oil prices. "The government clearly wants continuity in policy and if Dr. Patel is reappointed, then prima facie, it could indicate the government's inclination to extend the governor's term also," said Abheek Barua, chief economist at HDFC Bank in New Delhi. Quiet, occasionally brusque and wary of media attention, Patel prefers to engage with only a small group he is comfortable with, besides the bank's governor, officials say. During his tenure, Patel spearheaded a committee that in January 2014 recommended targeting consumer inflation to control historically volatile prices, shifting the focus away from wholesale prices. 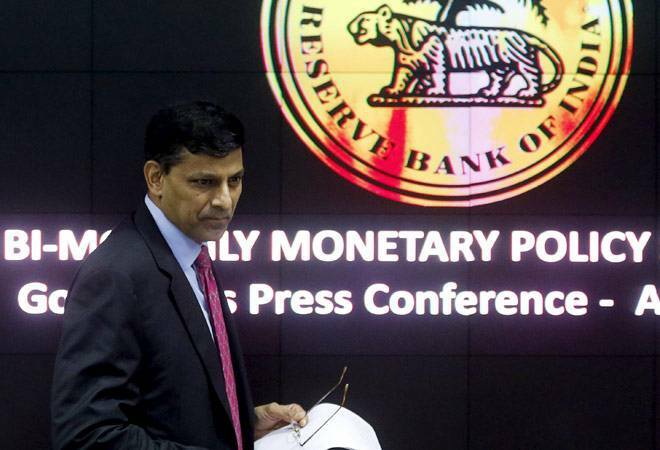 The strategy was implemented by Rajan, with the government's backing, in an overhaul of monetary policy that ranks as one of the most significant since India liberalised its economy in 1991. The same committee also recommended the creation of a panel to set interest rates, currently solely decided by the RBI governor, and spinning off the RBI's management of government debt to an independent public agency - changes now being discussed by the government and the central bank. Other candidates were considered to replace Patel, government sources said, but the government did not want to risk disrupting the current direction of the bank, while also wanting retain a deputy with the intellectual clout to complement Rajan. "Many people want a person at the RBI who matches Rajan and could question his decisions whenever necessary," said a senior government official with knowledge of the appointment process.